John Feffer’s books include Beyond Detente: Soviet Foreign Policy and U.S. Options, Shock Waves: Eastern Europe After the Revolutions, and Living in Hope: Communities Respond to Globalization. 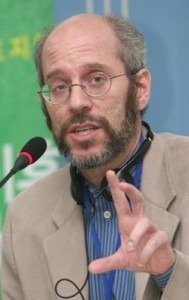 From 1998 to 2001, Feffer lived in Tokyo and traveled throughout East Asia, making more than twenty trips to South Korea and three trips to North Korea. He now lives in the Washington, DC area.